I have practised as a therapist for fifteen years. After a career in both industry and higher education I trained as a psychotherapist. I have been involved in the work of five local counselling services as well as being in private practice. I have worked with a diverse client base; individuals or couples of all ethnic origins and sexuality and all adult ages. My first degree was in Literature. I began my training journey in Person-Centred Counselling and then completed a Diploma in Gestalt Psychotherapy. In 2004 I finished a Masters degree in Gestalt Psychotherapy at the Sherwood Psychotherapy Institute in Nottingham (accredited by the University of Derby). During my studies I also undertook an additional two year training course in Couples Counselling and continue to update my knowledge regularly. 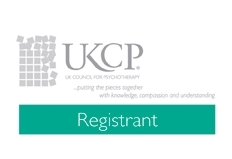 I am accredited by the UK Council for Psychotherapy (UKCP) and work to their code of ethics. I have recently started training in Mindfulness and am working towards being a Mindfulness trainer. I work short-term with both individuals and couples who have a particular concern in their life. I also work longer term with those who wish to explore patterns and relationships in more depth. I work from three therapy centres around South Manchester. Click here to find your nearest centre.